| How to Dilbertize your future! Home > Blog	> How to Dilbertize your future! How to Dilbertize your future! Tonight my children and I drove to the library. After our visit to the "late fee confessional", we all went off to our respective areas. Aidan has taken quite a liking to anything related to Calvin and Hobbs. He also recently discovered Scott Adams, better known by the name of his work (Dilbert). I have to wonder – why is my 9 year old reading comics concerning the workplace? Is HE trying to tell ME something? Well, just to throw me for a loop, tonight, he borrowed all of the collected works of Dilbert. He said; "I think this guy is funny", and went on to introduce me to all of the main "characters". 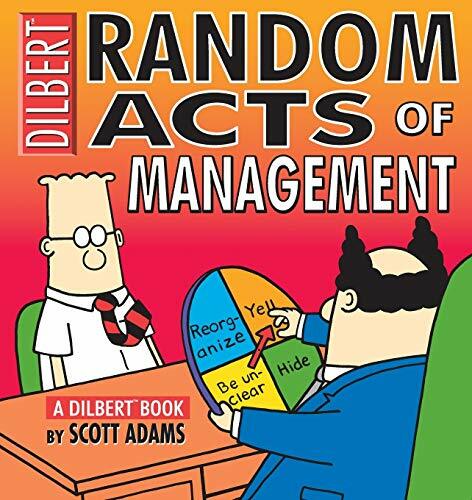 Dilbert started in 1989, and now appears in 2500 newspapers in 65 countries around the world. It would appear that workplace dysfunction has no borders! Scott Adams realized that the world was flat a long time ago (sorry, Thomas Friedman). Poor Dilbert — did you ever notice that his boss is never named in the cartoon? He is simply referred to as "the Pointy haired boss". Let’s just say that a lot of people who read the strip relate to well this character. He seems to play the role so well, and has all those buzz words down pat, but we all know that Dilbert is always five steps ahead of him. One of the key lessons pointed out in the cartoon is "The Peter Principle – in a hierarchy, every employee tends to rise to his level of incompetence". We have all worked for or with someone who embodies this principle. If we’re honest, we may even have practiced it ourselves from time to time. This idea was first given the name by Canadian researcher Dr Lawrence J Peter, who wrote a book titled "The Peter Principle". The main thesis of his book is that the skills we were promoted by, are most likely not always the skills that will make us successful as managers or leaders. This is not surprising when you see people struggle in their new role. For some, it is simply an adjustment, but for those that have been promoted out of their key area of strength, it is much more difficult. Think twice before you accept a new title, for everyone’s benefit. This week’s 10 Minute WORKout: Write down the name of your favourite manager, and what you appreciated about their management style. Next, write down the name of the worst manager you ever had, and what you disliked about their technique. Send your thoughts to us at alan@careerjoy.com, and we will do a draw for three copies of Dr. Lawrence’s book. P.S. Next week we are going to add a whole new feature to our WORKouts. It’s a surprise, but get your IPOD’s all warmed up just in case!